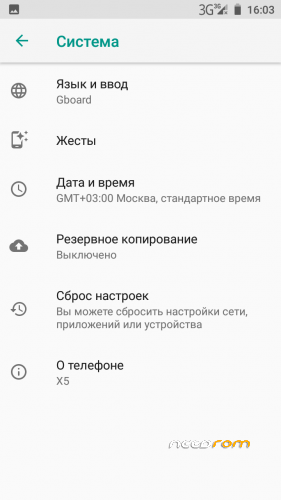 07/06/18 > Official GAPPS_Fix made by me implemented in dl section. Artem implemented my initially unofficial gapps fix into Official rom thread, so now it's 100% sure it's working and ROM claims you to flash gapps fix. In Firmware alpha 1 (not treble ROM's) gapps are included but not working already. HOW TO FLASH (THIS IS NOT FLASHABLE LIKE ANY OTHER ROM IN HERE) DO THIS WITH EXTREME CAUTION, READ EVERYTHING AND DO AS I SAY! 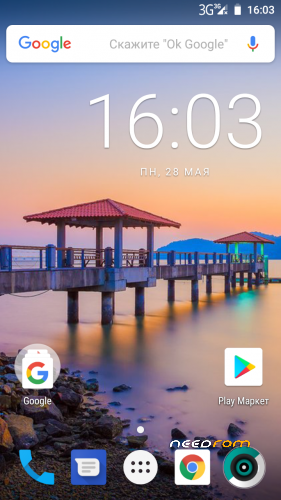 CÓMO INSTALAR (ÉSTA VERSIÓN NO ES INSTALABLE COMO CUALQUIER OTRA ROM QUE PUEDAS ENCONTRAR AQUÍ) SEGUIR LOS PASOS DE ÉSTE TUTORIAL CON EXTREMO CUIDADO, LÉE BIEN Y HÁZLO COMO YO LO INDICO. This is made for sms and calls to work, also mobile data. 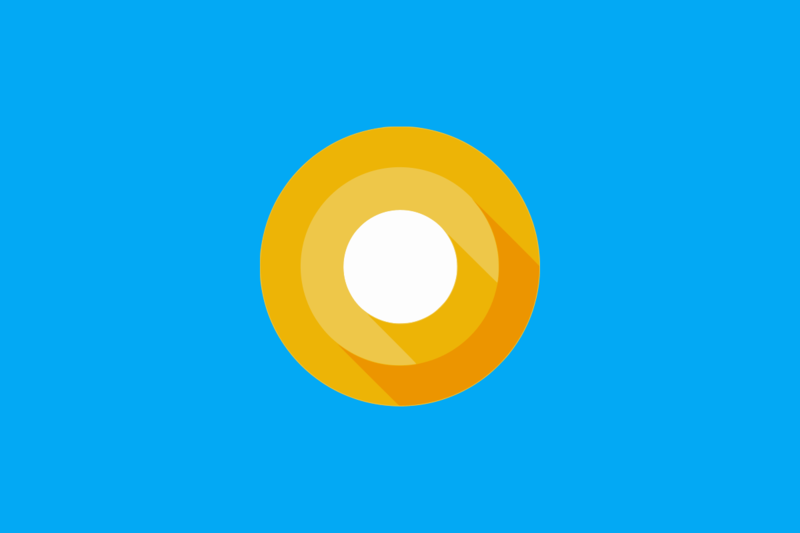 Download the scatter file I left in download section that Andrey167 gave me, who helped me 99% of the process of booting Oreo and understanding it, incredible developer. If it wasnt for Andrey167 help I couldn't explain you guys how to do this so it works for you all too. Select "Format all+Download" at Download type in SPFLASHTOOL, an error should pop-up saying there is no vendor.img selected, then just leave it Download only and flash. / If you get error "PMT has changed, you have to select "Format all + Download" and try again" then go to Format section in SPFLASHTOOL, select Formwat whole flash EXCEPT BOOTLOADER, then hit start (NOTE YOU WILL LOOSE EVERYTHING EXCEPT FOR WHAT IS INSIDE EXTERNAL SD), after this happens select Scatter file again and Hit download only. It's time to flash vendor.img, download vendor that I left in download section (Vendor made by artem and rock in 4pda) untick all other options such as system, userdata, cache, boot, simply disable them because we are only going to flash vendor, select the vendor file you have just downloaded and flash it. then go to Restore section in TWRP and if you're on doogeex5_3g folder all the partitions should come avaliable for restoring, just select them all (vendor, system, boot, logo etc) and swipe to restore, restoring should start. Last step for making our ROM more usable than ever, flashing GAPPS fix I left in download section, without that GAPPS won't work, but after that they are surely going to! After restoring has finished, Android 8.1 should be bootable! 8.1 recovery won't work for restoring IMEI (nvram-nvdata) properly, so you will have to flash either TWRP 3.0.2 by Jemmini or 3.2.1Nougat by Jemmini. After recovery is flashed, enter recovery, go to restore and open the restore folder where you backed up your IMEI (nvram-nvdata) and swipe to restore. IMEI has been restored sucessfully, DO THIS EVERY TIME YOU DON'T HAVE SIGNAL OR ETC. GO BACK TO OREO RECOVERY IF YOU WANT TO FLASH OTHER ROMS OR AOSP8.1 BECAUSE ONLY THAT RECOVERY WILL WORK FOR OREO ROMS. Éste paso se hace para que los SMS y las llamadas funcionen, así también como los datos móviles. 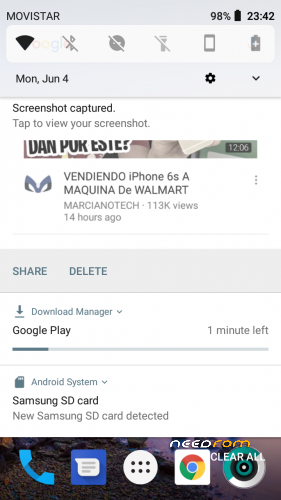 Descarga el archivo scatter que dejé en la sección de descargas, cortesía de Andrey167 , quien me ayudó el 99% del proceso de bootear (iniciar, prender mi teléfono) con Oreo y entender cómo funciona, es un tipo increíble. 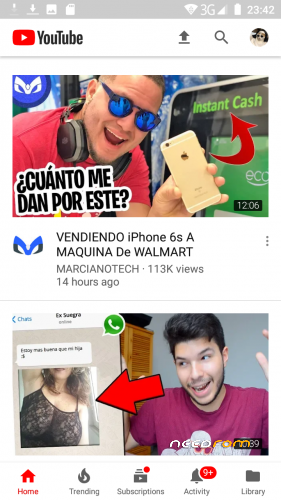 Si no fuera por Andrey167 y su ayuda no podría estarles explicando ésto a ustedes chicos, agradezcan. Selecciona "Format all+Download" en el tipo de Download en SPFLASHTOOL, debería de salirte un error diciendo que no hay un vendor.img seleccionado, cierra el error y deja que el modo quee en Download only y procede a flashearlo. / Si obtienes el error "PMT has changed, you have to select "Format all + Download" and try again" ve a la sección de FORMAT en SPFLASHTOOL, selecciona "Formwat whole flash EXCEPT BOOTLOADER", conecta tu disposito y luego dale click a start (RECORDAR QUE PERDERÁS TODO EXCEPTO LO QUE ESTÉ EN LA TARJETA EXTERNA O MICROSD), después de que ésto pase selecciona el Scatter file de 8.1 nuevamente y selecciona Download only, intenta flashear nuevamente. Hora de flashear el vendor.img, descarga el vendor que dejé en la sección de descarga (Vendor hecho por snowcatpda, artem and rock in 4pda) desactiva todas las otras opciones como system, userdata, cache, boot, etcétera, desativalas todas excepto vendor porque sólo esa vamos a flashear, dale click a la ubicación, selecciona el que descargaste y con el modo de descarga en Download only, procede a flashear el venor. INSTALANDO OREO USANDO TWRP 3.2.1 CON KERNEL 3.18.79 HECHO PARA OREO. El recovery de Android 8.1 no funcionará para recuperar el IMEI (nvram-nvdata) adecuadamente, así que tendrás que flashear el TWRP 3.0.2 por Jemmini o el 3.2.1 de NOUGAT para Jemmini, nougat no Oreo. Después de que hayas flasheado el recovery usando SPFLASHTOOl, cuya instalación es la misma como la que hiciste al instalar el vendor.img, entra al recovery, abre la sección de Restore, abre la carpeta en donde habías guardado la copia de seguridad de tu IMEI (nvram-nvdata) y desliza para hacer el restore. EL IMEI HA SIDO RECUPERADO EXITOSAMENTE, REALIZA ÉSTE PROCESO CADA VEZ QUE NO TENGAS SEÑAL O ETCÉTERA. 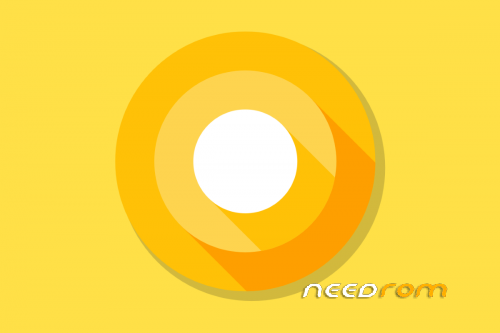 DEVUÉLVETE AL RECOVERY DE OREO SI QUIERES FLASHEAR OTRAS ROMS DE OREO O AOSP8.1 NUEVAMENTE PORQUE SÓLO ESE RECOVERY TE SERVIRÁ PARA INSTALAR LAS ROMS DE OREO! 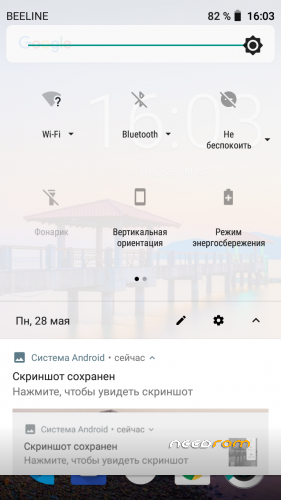 I upload this because of the lack of interest of developers to upload to needrom because they're simply good at 4PDA, and not really much people that doesnt speak russian ( majority of doogee x5 users ) check 4PDA forums and weren't even aware Oreo was in the making a few days ago. 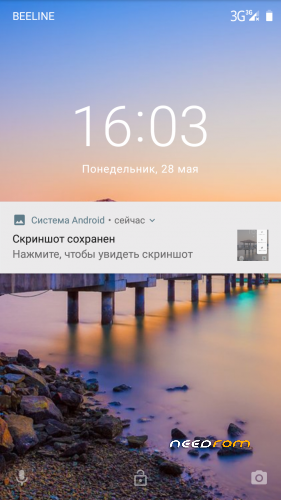 Also it costed me a lot to get oreo booting on my device because of errors with TWRP and errors with Spflashtool and I redesigned the explanation process to evit from the first instance the problems that happened to me, also translating isn't such a funny job XD. you said that gapps doesn't work!!! does that mean that google apps like play store and youtube don't work????? 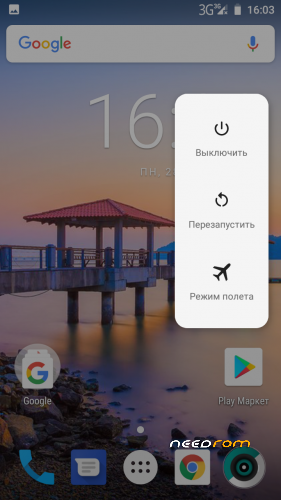 in 8.1.0 X5 V1.7z (first link) playstore doesnt work, gmail doesnt work, google work but wont let you log in and offer you personalized news, And youtube works but you won't be able to log into your account, this is an early-release bug, it's getting fixed with the time. 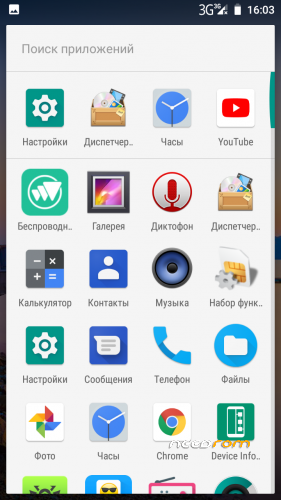 With treble roms you can install gapps, soon a tutorial on how to install treble roms. can you plz tell us more about repartitioning the device and creating vendor partition please !!!!! Repartitioning will be safe as long as you don't delete your Preloader while formating, it's 100% necessary to boot Oreo in our device and it will bring a lot of goodies with it! isnt the Step 2 working for you? I installed it today but its not usable yet. It is great to see that this is happening. My guide worked for you? you booted it? Yes, I managed to install it with some minor problems. But it was unusable, I tried all the settings and stuff, than restored lineageOS 13 backup. I even flashed lineageOS 15.1 but google play wasnt working. did you get error "Your device is not certified by Google?" because that is easy to fix XD I even have a tutorial on JDCTeamAOSP rom I uploaded, it's same way to fix. No, it tried to connect or something. There was like loading bar and it crashed every time. 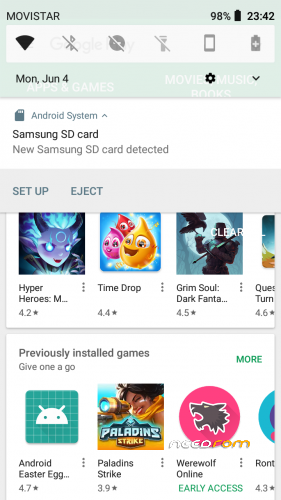 did you downloaded version that came with or without gapps? When I flashed lineageOS 15.1 there was no gapps installed, so I downloaded pico package from opengapps site but it kept crashing afterwards. So that was the problem. I reformated the phone because i need everything working. The flash process is long and annoying. I doubt I will be flashing it again before the updated version is released. Same with me. His lineage is somehow different from yours?